Connecticut's governor wants the attorney general to get answers as to why foundations are crumbling in the eastern part of the state. In a response to an ongoing NBC Connecticut Troubleshooters investigation, Gov. Dannel Malloy requested in a letter to Attorney General George Jepsen that he help the Department of Consumer Protection initiate a Civil Investigation Demand process into the concrete company allegedly linked to hundreds of failing residential foundations. In an exclusive interview with NBC Connecticut’s George Colli, Malloy said the civil investigation does not place blame on J.J. Mottes Company, but does legally bind them to answer questions under oath, which will allow the state to understand the full scope of the issue. 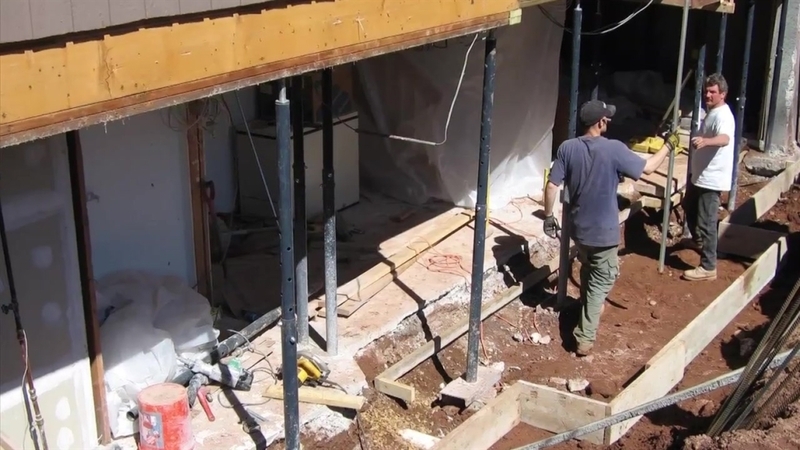 The Troubleshooters’ first investigation on July 21 found homeowners struggling to get help fixing their crumbling foundations. In the days since, more than 150 homeowners contacted the NBC Connecticut Troubleshooters saying they’re basements are failing too. Most say their insurance companies denied coverage for their claims, so they have to pay up to hundreds of thousands of dollars out of pocket to fix the problem. The civil investigation demand process will determine if any consumer protection rules were violated, whether or not faulty concrete was knowingly poured and or supplied to contractors and whether or not there was any breach of a duty and consequent failure to notify homeowners and the state. “We have to get to the heart of this. Is there coverage by the company itself? Is there homeowners coverage that may be available? Is there other ways to help these folks? We’ve got to take this seriously. We’ve got to look at it and that’s why I’m asking the attorney general to get involved in the process,” Malloy said. Homeowners, contractors and building officials tell the Troubleshooters the issues have only been reported with concrete supplied by J.J. Mottes Company of Stafford Springs. The Troubleshooters reported the DCP investigated the issue in 2008. However, no warnings were sent to homeowners or inspectors until yesterday. The governor acknowledges some state officials have known of the issue, but he hasn’t learned of it until recently. “This thing has been out there awhile as you’ve shown. What happened in the past? I’m not surely aware of yet,” said Malloy. “What we should be doing is getting to the answers as soon as possible for these homeowners or commercial owners or for even our own state structures." Some believe an iron sulfide mineral called pyrrhotite is to blame. The governor specifically cites the mineral and its devastating effects in his letter. The U.S. Geological Survey and the company itself confirm pyrrhotite is found in the quarry where J.J. Mottes has retrieved aggregate for its cement for decades. The Troubleshooters have repeatedly asked the company for comment on whether it tests for pyrrhotite. All of the reported residential issues are for foundations poured between the early 1980s through 1998. The company has declined comment on that, but apparently has given some answers to the governor. J.J. Mottes declined to comment on the governor’s request for an investigation, but in a statement released prior to the Troubleshooters’ initial story, company spokesperson John Patton said J.J. Mottes has received no reports of issues with concrete poured after 1998 and has begun working with managers, geologists and testing labs to review its manufacturing methods and materials. That review began after the Troubleshooters first questioned J.J. Mottes. Whatever the answers may be, the governor believes the homeowners and the state need them expeditiously as possible. The attorney general’s office said it has received the letter and is beginning the investigation immediately. The first step will be issuing an administrative subpoena to the company with the questions it must answer under oath. Click here to read Gov. Malloy's letter the attorney general.